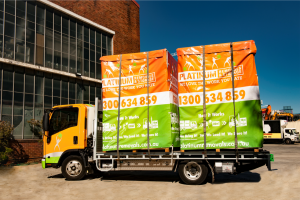 Platinum removalists operate from Melbourne to Sydney and we can help get all of your things transported from point A to point B with ease! Take advantage of our professional Sydney removalists to help take care of all of your moving needs. Moving and Storage goes hand in hand like peanut butter and jam, or breakables and bubble wrap! You’ll never have to worry about the pains and stresses of the logistics and handling of all of your furniture storage or storage boxes when you’re moving into a storage unit ever again! 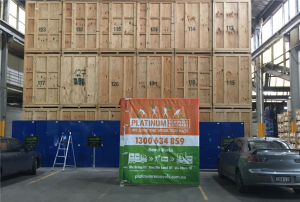 Platinum Removals & Storage have added a whole fleet of portable storage pods that can be transported from our warehouses directly to your location, wherever you are in Melbourne or Sydney. You just have to arrange for delivery and we can ensure that our removalists will arrive promptly at your doorstep with your storage unit all ready for loading! That means that your office or house move will go that much smoothly since you no longer have to worry about traffic, or directions, or even managing this whole other aspect of your move! With our mobile storage options, you can make use of our furniture removalists in Sydney to professional handle your items when you’re moving them into storage. That means that all of our equipment and tools, our expertise in handling, and our knowledge on different situations will be at your disposal. If you’ve ever had to move a grand piano or a large sofa up to your apartment when the elevator is under repairs then you will know precisely why it’s important to have our Sydney removalists supervising and managing your move every step of the way! If you want to get everything into your storage unit without a hitch, then you absolutely have to get the team to help you out! Our removalists in Sydney to Melbourne know just to take care of your items before you even move into storage too. If you thought that having professionals to help you move your items into storage would be a big help, just take a look at what we’ve done with our storage units to help you out too. All of our storage units are totally portable. Meaning that we bring an empty storage unit on our trailer to the address that you’ve given us, and wow, you can literally start getting organized on your front lawn! When we’ve loaded up your storage unit onto our trailer, we’re well versed with the roads from you to our warehouse so you don’t need to worry about hold ups or delays either, we are fully accountable from the minute that you’ve left your possessions in our care. 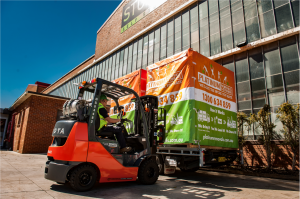 Besides our intimate knowledge of how to get out of tricky situations and making self storage that much more convenient for you, our professional Sydney Removalists have dealt with the management and approvals of moving things around. If you’re worried about your items being stopped for checks and inquiries while you’re trying to move things out of your home, you can be assured that when we are fully licensed to carry out any and all sorts of storage and removals work in Sydney. You really don’t have to worry about a thing because we have it all covered! Platinum Removals & Storage Relocations really makes the whole business of moving your things from one place to another that much more simple and accessible for people. As the world grows smaller, it should be easier for people to make their mark across different cities and locations. That’s what our moving and storage services will do for you, all the way from Sydney to Melbourne and back again. Our removalists will make moving your office or relocating your home as simple as clapping your hands!